In the spring of 1945, Dave Williams (Denny’s father) began making the now famous “Williams French fries” in his garage, selling them to customers in the Lykens area. They quickly became a favorite at carnivals, fairs and football games, and they sold for 15 cents per cup. Denny started working in his father’s business at 4 years old making change. Denny quickly learned the secrets of making Williams French fries taste so GREAT! After the passing of Denny’s father, in 1975, Denny purchased the business with one small food truck. In May 1977, Denny leased a parcel of ground on the square in Millersburg and opened a sandwich shop with a small menu to include: hamburgers in sauce, hot dogs and of course “Williams French Fries”. In 1992 Denny purchased Lennie’s Restaurant located at 3828 Peters Mountain Road, Halifax, PA. It’s open daily and offers an expanded menu and many PA Dutch favorites. We specialize in on-site cooking for corporate functions: including employee appreciation parties, picnics, safety award meals, grand openings or any other special event. We also cater holiday meals, banquets and weddings. Choose from one of our many menus or design your own. WE CATER TO PLEASE! 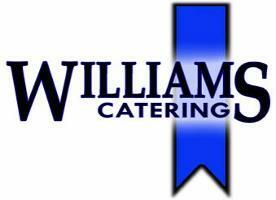 Interested in employment opportunities with Williams Enterprises?